June | 2015 | Mediascope, Inc. Here is a question for you: Are the obstacles in your life stumbling blocks or stepping-stones? Is the glass half empty or half full? Statistics show your approach to life’s events is likely to shape how you live your life. We all know people whose approach to everything has a touch of Eeyore-ism. For those not familiar with Eeyore, he is a character in the Winnie-the-Pooh books who goes through life with a pessimistic and gloomy attitude. Unfortunately, the ol’ “I can’t do anything right” syndrome can be somewhat of a self-fulfilling prophecy. Some people call this the Galatea Effect. The Galatea Effect means that individuals’ opinions about their ability and their self-expectations about performance largely determine their performance. Moving that thought to the workplace: if employees think they can succeed, they will likely succeed. Carrying this one step further, it becomes apparent that actions supervisors take to increase employees’ feelings of positive self-worth will help employees’ performance improve. It is important to not over-simplify this concept. Many other factors also contribute to the level of an employee’s performance, including company culture, and employee’s life experiences, education, family support, and relationships with coworkers. 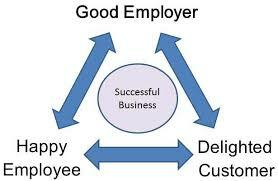 However, positive supervision is one of the key factors that keeps good employees on the job. These are ways in which you can encourage positive, powerful self-expectations in employees. Provide opportunities for employees to experience increasingly challenging assignments. Make sure they succeed at each level before moving forward. Enable employees to participate in potentially successful projects that bring continuous improvement to the workplace. Provide one-to-one coaching with an employee. This coaching should emphasize improving what the employee does well rather than focusing on the employee’s weaknesses. Provide developmental opportunities that reflect what employees are interested in learning. Assign a successful senior employee to play a developmental mentoring role with a junior employee. Hold frequent, positive verbal interactions with employees and consistently communicate your firm belief in employees’ abilities to perform the job. Keep feedback positive and developmental where possible. Make sure employees are receiving consistent messages from other supervisory personnel. How you speak to others about employees powerfully molds their opinions. Project your sincere commitment to employees’ success and ongoing development. So there you have it! Harness the power of an employee’s positive self-expectations to ensure a productive and successful work performance. There is no disputing the growth of on-line sales. U.S.-based e-commerce sales are predicted to reach $350 billion by the end of 2015. Global sales are expected to reach $1.5 trillion! Even the holidays are predicted to be bigger than ever, with an estimated $617 billion in sales. Along with this growth comes a shift in how consumers are perceiving on-line sales. Some people are calling 2015 “The Year of the Consumer” as buyers now have more power than ever and are flexing their muscles in terms of wants and expectations. What do you need to know to keep up with changes in e-commerce? You used to know all the big days in your local market (Black Friday, Cyber Monday), which made it easy to plan accordingly. However, with global on-line sales, there are holidays in other markets which may affect you. Alibaba alone reached sales of over $9 billion on China’s Singles Day (November 11) in 2014. Global B2C sales mean you need to be flexible and ready to operate on demand as you enter new markets. Until recently, free shipping was everything. Now, in addition to free shipping, customers want more choices in packaging and delivery methods. Be sure to know what your customers are looking for and be prepared to offer new options. Be aware, however, that customers understand the power they have, and that makes them vocal about their experiences. Make sure to keep your promises. Customers track every inch of the buying experience and will let you—and everyone else—know if you don’t meet their expectations. Bad reviews will affect not only your current customers but will put off potential clients as well. Free returns ranked 6th in a list of 15 reasons why people buy holiday gifts on-line. Free shipping ranked first. Many retailers, including Zappos, have seen success by offering return policies which favor the buyer. With on-line sales, you’re always open. Can your supply chain, fulfillment center and customer service departments meet your customers’ needs? Carrier companies are beginning to support this trend by offering seven days per week delivery. One of the fastest-growing trends in e-commerce is that retailers will provide discounts in exchange for waiting for products. Zulily is the pioneer of this trend. It offers items at a steep discount for a limited time. The buyers’ orders are collected and then sent to the supplier. The buyers gain better pricing in exchange for a longer wait time. Global e-commerce opportunities are changing the landscape of on-line selling, and giving consumers more power and a bigger voice. 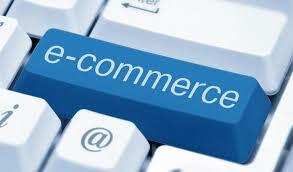 Make sure you are ready to be a part of the expanding world of e-commerce. Digital printing is here to stay. To reap the full benefits of digital printing, including lower costs on small quantities and quicker turnarounds, designers need to make a few small changes in how they approach jobs. Here are a few suggestions geared toward helping you make the most of digital print and save money at the same time. Many times, quantity determines whether a piece will print digitally. If you’re not sure if your piece will print digitally, check with your print provider. That way, using the tips below, you can design your piece to fit the equipment. Your print provider may have ideas on how to save money, too, such as creating a self-mailer rather than printing both a brochure and an envelope. If a job is printed digitally, you can usually save money by eliminating bleeds. Not having bleeds reduces or eliminates the need for post-print trimming. Every digital printer or press has optimum and maximum sizes. If you know what size paper your print provider’s equipment runs, you can design your piece in order to get the best yield out of the paper. Keeping in mind that printers can’t print to the edge of the sheet, changing a 6″ x 9″ postcard to a 5.5″ x 8.5″ postcard means getting four postcards out of a 12″ x 18″ sheet of paper rather than two. Not only does this mean fewer sheets of paper, but it reduces print time, both of which save you money. Most printers buy a few papers in bulk and keep them on hand. Because they’re readily available, you and your print provider know they will work well on equipment, and you will save money by not paying shipping costs on specialty paper. Also, specialty papers often times needs to be purchased in full cartons which means you’re paying for more paper than your job requires. Most digital printers print in CMYK only. While some digital presses offer other options such as one or two spot colors, adding colors adds to the price. And, if you really want to save money, print your piece in black ink only. And while we’re talking about CMYK, be sure to design your piece in CMYK. Although digital devices will translate RGB to CMYK, the colors will not print exactly the same as if you designed the piece in CMYK. And, too, if you want to reprint the piece later in a higher quantity on an offset press, the design will already be done, and the two pieces will be a closer match in color. 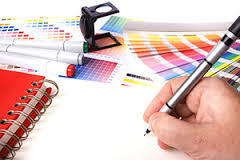 Digital printing is a great option for many printing jobs. Be sure to talk with your print provider at the onset of the design in order to maximize the benefits of this high-quality, quick turnaround, and low-cost method of printing. As technology develops and changes the way we do business, no longer is any one marketing medium considered king. Most campaigns now consist of several integrated strategies incorporating both print and online marketing; in fact, a recent Pitney-Bowes survey shows that 76 percent of small businesses say their ideal marketing strategy encompasses a combination of print and digital communication. Here are a few trends in multi-channel marketing. Video has a unique place in the marketing mix. Video content is easily absorbed and ideal for communicating complex details in a simple manner. Combine the power of video with the benefits of personalization to get the maximum viewer experience. Personalization is done through variable text, personalized still images, and special effects. Several weeks ago, we did a blog on Near Field Communication (Near-Field Communication (NFC) — What’s in it for me?). Somewhat new to the market, NFCs are likely to replace QR codes but they work similarly in that they both provide easy links between two channels of communication. In specific, NFC technology uses a tiny microchip to send a signal directly to your mobile device. PURLs combine variable data printing with digital forms of collecting data. Readers respond to seeing their name in print and go to a personalized landing page where they see their name and other personal information again. In return, they are likely to provide additional information useful for your contact database. PURLs are a great way to improve response rates and return on investment. Also, using additional design features and including a targeted special offer enhances the customer experience and perception of brand. Although variable data printing isn’t exactly new, marketers are using it with increased confidence and for more complex campaigns. VDP allows you to uniquely customize and personalize each piece by changing both type and images. For example, savvy marketers send a postcard with an image of a ski lift to a client whose idea of a perfect vacation is a ski vacation, and a picture of a beautifully sandy ocean front to a beach lover. The driving force behind a successful VDP program is the database. To get the most bang for the buck with variable data, companies need to know their customers’ interests, spending habits, hobbies, and dreams. Variable data works because it appeals to emotions and the reader perceives that special touch often lacking in traditional print marketing. What Can You Expect to See in the Print World? It’s no secret that the printing world has undergone major changes over the last twenty years. At first, the changes were hardware- and technology-based, but internet has now changed the very nature of the printing industry. These are a few of things you can expect to see in the next couple of years. To no one’s surprise, print and digital forms of communication will continue to merge. Print is less likely to stand alone, and print sales will be part of a strategic approach combining print and digital strategies into multi-channel efforts. Keep in mind that even social media should fully integrate with print marketing campaigns. Print and social media can be a symbiotic relationship—use print media to draw attending to your social media sites and use social media profiles to strengthen your print campaign with well-thought out branding. 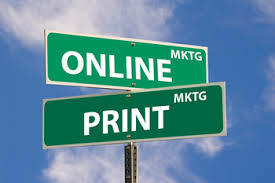 Other forms of multi-channel marketing utilizing print are variable data printing, qr codes, direct mail print pieces, and personalized urls (purls). One very positive outcome of this integration is that companies will be able to use one vendor for print, direct mail, and digital marketing efforts. 2014 was a huge year for 3D printing. In addition to already-discovered uses for 3D printing in the medical, fashion, and manufacturing fields, new ideas for 3D printing are being developed every day. National news recently showed a blind pregnant woman receiving a 3D image of her ultrasound so that she could “see” her developing baby. New developments are also being made in the creation of 3D organs, plus aerospace and automotive parts. Print is much more than ink on paper. It extends well beyond typical paper products and includes promotional items such as drinkware, magnets, stickers, and apparel. There is an important difference about printed swag to note: people are more likely to keep promotional products longer, which helps build your brand familiarity. No matter if it is a paper or promotional item, a creative and unique piece gets attention. Design plays a large role: if the piece is striking enough, people take and post photos to social media, helping make the piece—and your brand—memorable. Print remains an important part of the business world. While many of the traditional usages are present, new ways of using print continuing to evolve. Have you heard the phrase “Work smarter, not harder”? Change the word “Work” to “Mail” and you’ll have the best overall strategy for direct mail marketing. The benefits of personalizing mail pieces have been known for quite some time now. Hopefully, you are gathering pertinent data on your customers and capitalizing on the information you’ve learned. Smart personalization goes beyond name and address; think in terms of age bracket, income level, and interests. The more you know about your customers, the better you can tailor marketing campaigns to each individual or market segment. Some people worry that too much personalization is intrusive. It’s hard to argue with statistics, however. According to MarketingCharts.com, 86 percent of consumers polled said that personalization influenced purchases. Melissa Data, a company that provides address data for companies, says that highly personalized color print campaigns can receive response rates as high as 6.5 percent compared to 2 percent for non-personalized direct mail pieces. Knowing your customers allows you to appeal to them on several levels, especially emotionally. Use stories in your brand to make you stand out from your competitors and make your advertising memorable. Buyers are looking for relationships and brand stories foster these connections. A brand story appeals to the humanity in each of us and serves to link people together. Savvy marketers will integrate digital forms of communication in their print and direct mail efforts rather than trying to replace one form of marketing with another. Always include your website address, and consider using individualized landing pages to monitor interest and track results. Social media is another great way to spark interaction and keep your customers engaged. Ask your buyers for their stories and you may find great advocates for your brand. A 2012 study by Epsilon, a marketing company, showed that of the two sexes, women are more likely to trust direct mail—whether addressed or unaddressed—when gathering information. Statistics also show that women have become the primary decision-makers for most household purchases, from healthcare to groceries to automobiles. In fact, women are responsible for 85 percent of household purchases, yet a staggering 91 percent of women feel that marketers don’t understand them. 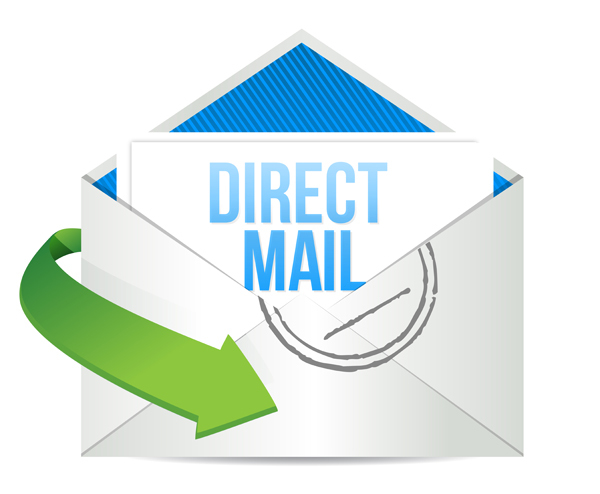 To summarize, postage price increases means direct mail marketers need to mail smarter than ever. Using mail techniques targeted specifically to the buyer’s heart, mind, and wallet is the best way to see a return on investment.